The period after being discharged from a hospital is a very vulnerable time for patients, as the responsibility for care is shifting from hospital providers, back to the individual or to outside caregivers. The patient is moving from a situation where they are monitored around the clock, and trained staff is handling all of their health and wellness needs, to one in which they may be completely on their own. This transition also often includes changes in prescriptions, new therapies, and potentially follow-up appointments. More than half of patients experience at least one medical error when this transition occurs, and the majority of these are medication related errors. Inaccuracies in the medication record presented to providers at the time of hospital admission may be compounded at the time of discharge. 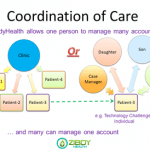 ZibdyHealth can smooth this transition of care by reducing inaccuracies and preventing errors. The Affordable Care Act (ACA) requires healthcare providers in the US to provide the appropriate medical information about a patient to the receiving institution during “Transition of Care”. 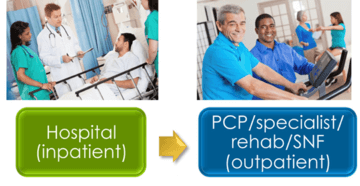 For example, if a patient is transferred from a hospital to skilled nursing facility, the nursing home should be provided with care instructions from the hospital – including medications, monitoring parameters (e.g. blood pressure, heart rate etc.) and so on. EHRs are notoriously cumbersome for medical professionals to use, and differ from hospital system to hospital system. They are also in limited use outside the western world. ZibdyHealth acts as a personal health record, and enables the easy transfer of this information from system to system. Outside of the US, where EHRs are not prevalent, ZibdyHealth can act as the primary medical record for individuals. ZibdyHealth can provide the bridge between healthcare provider and the outside world to make sure information is transferred accurately. When transferring the patient from a hospital to a nursing home, the provider at the hospital can make sure information is properly transferred using ZibdyHealth to create a secure link in which records can be forwarded to the new care team in a simple and logical fashion. At the time of transfer, the provider generates a report in BlueButton+ format to upload into patient’s ZibdyHealth account. This is an HL7 compliant Continuation of Care document (CCD). This CCD includes all of the medications the patient is taking, laboratory results, allergies, the patient’s medical conditions, and other additional information. If the option to generate a CCD report is not available, then the patient or their caregiver can quickly scan in the active medications into the patient’s ZibdyHealth account, and rapidly fill in the other key basic information using a series of drop down menus. ZibdyHealth provides the ability to save medical information easily, and output it in an “EHR” format – whether or not the account holder is a member of a medical system that uses an EHR. 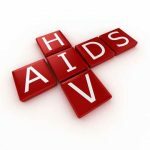 The reports feature of ZibdyHealth allows reports to be created in a PDF format to be either saved or emailed. These reports still contain details in an HL7 compliant manner. These reports – which include time stamped records of medical conditions, medications, recorded vital sign measurements, vaccinations etc., provide the essential information that an accepting nursing home needs. ZibdyHealth provides a simple way for health providers in the US who use EHRs to achieve the “Transfer of Care” for their patients. More importantly, ZibdyHealth allows EVERYBODY to securely and accurately exchange the important information needed during a “Transfer of Care”. ZibdyHealth allows a patient’s medical information to move with them, no matter who or where they are. For more information watch our video “Caring with ZibdyHealth” Tutorial Videos.